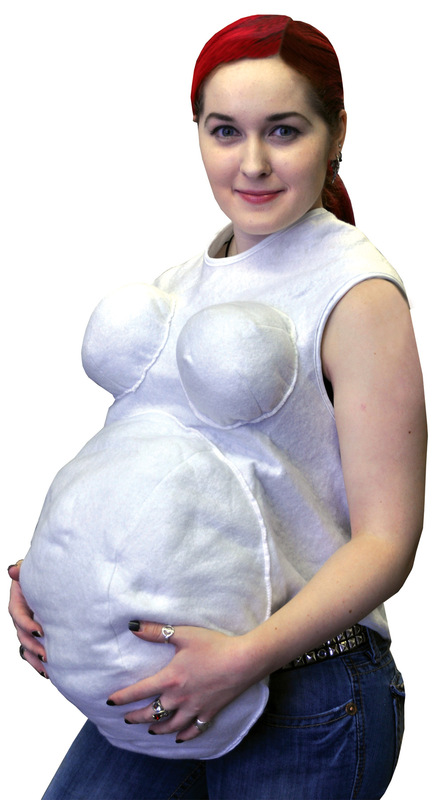 White polyester fabric-covered foam with padded tummy and bosom. Tie closure in back. One size fits most adults.